How does Captain Phasma type with thimbles on her fingers? How does Captain Phasma type her password to deactivate the shield protecting Starkiller Base when she is wearing thimbles on her fingers? Because she doesn't type to do it (in the film)- it appears to be a dial / handle. your head? Lower the shields. You're making a big mistake. This is addressed in the film's tie-in novelisations. Apparently the lowering of the shield was accomplished by pushing buttons rather than typing commands on a keyboard. Chewie backed him up with a roar. The sequence did not require extensive typing. She did. A few keystrokes were all it took to bypass the automatic systems and start the sequence to shut down the shields. Why did Rey and Finn change jackets on Starkiller Base? How does the planet Starkiller base in the Force Awakens remain day light once the weapon is charged? How does Finn know so many details about the Starkiller Base? Is Starkiller Base protected with a different shield technology? How does Phasma know Finn by sight? Why didn't Starkiller Base turn into a white dwarf? Why didn't Kylo Ren detect Han Solo on Takodana? 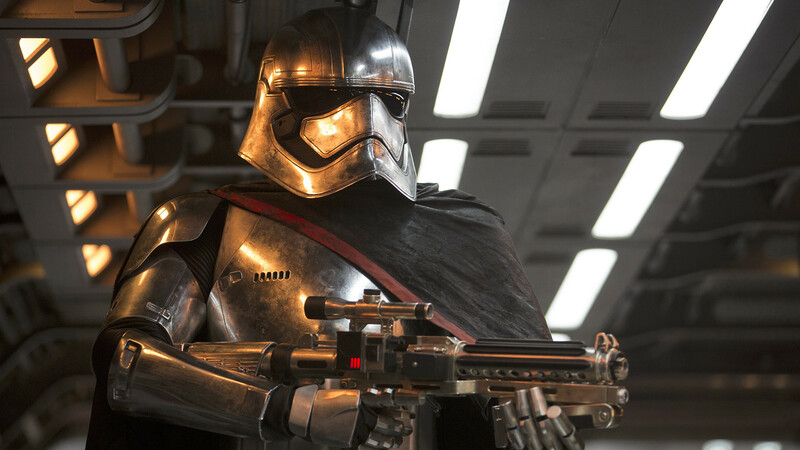 Why did Captain Phasma play such a small part in The Force Awakens? How does Rey know the Wookiee language? How did Rey get her blaster back?